Introducing TempTress temporary tresses by Vogetti,® bringing high fashion looks to stylists and their guests. 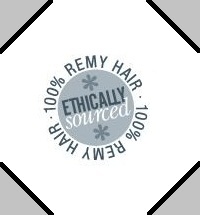 Our 100% human Remy hair is available in either tape or clip application allowing flexibility for you and a tailor-made salon experience for your guests. Each strand is aligned in its original root to tip position with cuticles intact, for rich colour, silky smooth appearance, supreme durability and versatility. TempTress offers a rapid professional service with 12 fashion-inspired colours that guests will love. Offering a fast natural, touchable alternative to bonded extensions, TempTress is ideal for a ‘flat’ finish working particularly well as a solution to volumise finer hair types. Making the looks on the runway a reality for salon guests. Our hair is sourced directly from Hindu temples where hair is voluntarily donated for religious reasons as an offering of thanks. The temples use the profits made from the sale of the hair to fund local education within the community, and you receive the highest quality hair for your extensions. process of TempTress allows stylists to update or make-over any look, be it with volume, colour or the more traditional length. This offers guests a quick and cost effective fix to their ever changing fashion demands, without the demand on their hair. Extensions are not only a great way to add length to shorter locks, but are also a fantastic way to add highlights, low lights, fringes and flashes of fashion colour. Wefts can be placed singularly for a one or two wash look, or can be placed on top of each other for a look that lasts up to 8 weeks. TempTress allows you the ultimate way to personalise looks for every guest. TempTress seamless wefts are not only easy and fast to apply, but are also rapid to remove with our special removing solution. An affordable alternative for guests, TempTress wefts can be reused up to three times when cared for correctly. Stylists can either re-tape the wefts with each style and re-apply in the same way, or alternatively, the wefts can be re-taped with the addition of clips so that guests can add and remove wefts at their leisure. Rock your own runway with our selection of 12 fashion inspired colour options; all available in 15cm, 30cm and 50cm lengths to suit each guest. Offer guests dip dye, chalking, ombré and flashes of colour without the commitment, and turn up the volume with TempTress. Brighter hues were seen all over the international runways for spring/summer 2013, from flashes of pink and blue at Oscar de la Renta, to pastel greens at Peter Som, and candy brights at Anna Sui. For the more adventurous guest, mix it up with INKWORKS® from Paul Mitchell® Professional Hair Color.